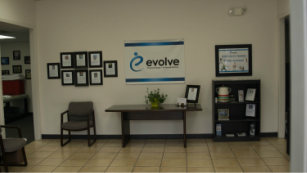 Evolve Physical Therapy + Advanced Wellness is one of San Diego's most progressive, privately owned physical therapy, wellness and balance centers. We use the most advanced healing techniques available to produce results that enrich the lives of each of our patients. To achieve this goal, we create an open, honest and caring environment where our staff and patients can work together to overcome obstacles and achieve the highest levels of both physical function and personal growth. The highly trained staff at Evolve Physical Therapy + Advanced Wellness believes that individually designed treatment and exercise programs should be based on an in-depth evaluation of the patient. Our advanced, hands-on manual therapy techniques lead to maximum rehabilitation and restoration of function, as well as prevention of future injury. 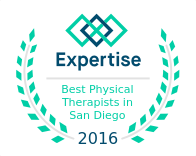 Evolve Physical Therapy + Advanced Wellness Practice has been recognized as one of the top San Diego Physical Therapy practices.